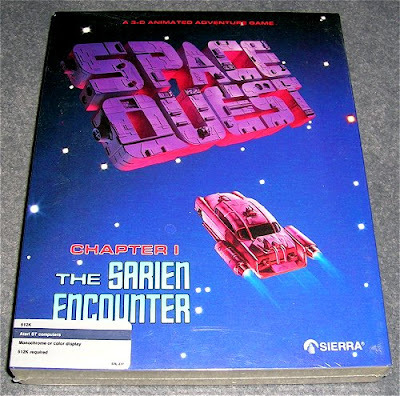 Time to kick things off -not that everything for the new Retro Treasures is in place mind; far from it- with a classic Sierra adventure game for the Atari ST: Space Quest 1. It comes in its original (shrinkwrapped) box, is still a joy to play and the seller ships worldwide. Grab it via eBay. Awesome series, awesome humour.They dont make this anymore, today. No. Unfortunately they don't... Oh, and cheers for the comment!